Agricola Samadhi is a charming resort and organic farmhouse located in southern Puglia in the heart of Salento, the heel of the Italian boot. The organic farm Agricola Samadhi is surrounded by nature and silence, in the ‘navel’ of Salento, Zollino, just 10 minutes from Lecce. The only sounds you can hear are the wind, the chirping of birds and the sound of crickets and cicadas. The intrinsic quality of the place and the decisions made in renovating the farmhouse have made Agricola Samadhi the perfect place for a true relaxing yoga retreats and yoga getaways. We are open all year long in winter and fall we offer extremely convenient rates. The center is available for yoga teachers who wish to hold their own retreats, workshops, and teacher training. Yoga in Salento will help in setting up, promoting and managing the event if desired. Agricola Samadhi is a mix of tradition and innovation, of ancient and modern: two elegant ancient buildings from the early 20th century are near recently renovated buildings that host the guest rooms and restaurant. All buildings are surrounded by a green park, beautifully designed by a true master of landscape architecture: Annalisa Calcagno Maniglio. In the park a large pool, with sun chairs and gazebos and several green fields, where with hammocks hidden between the trees: a true paradise. 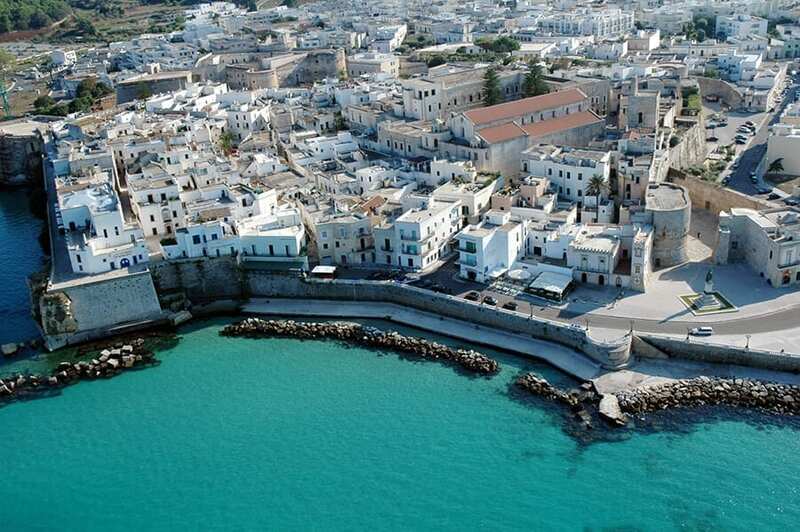 Salento heel is a peninsula (south portion of Apulia region) with 250 km of coastline. Agricola Samadhi is right at the center of the peninsula: a strategic position to explore the area. Beautiful crystal clear beaches & sea shores are just 20 minutes drive or 30 minutes train ride. The local train station is just a few steps from Agricola Samadhi. The closest airport is Brindisi (or Bari). The closest national train stop is Lecce. Brindisi airport is directly connected with a wide range of European cities (Rome, Milan, London, Geneva, Paris). The baroque city of Lecce, defined the Florance of the south for its magnificent art history and beauty is just 10 minutes car ride from Agricola Samadhi. Agricola Samadhi has two beautiful yoga rooms fully equipped with blocks, bolsters, blankets, yoga mats. The first yoga shala is located in the ancient Masseria, the 19th-century farmhouse. 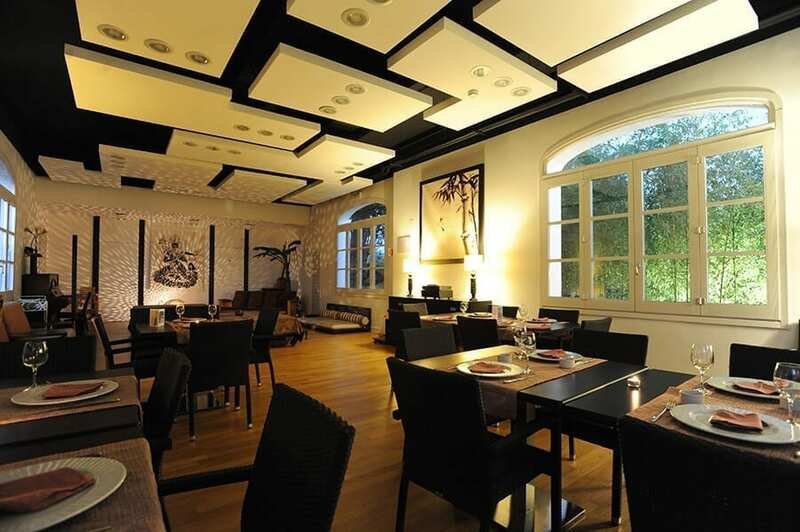 With high ceilings made of the famous Lecce stone, parquet flooring heated in winter and a large window offering the view of the green park, it can host up to thirty people practicing. The second yoga shala, fully in glass, letting in lots of light, also with parquet flooring, faces the farm and olive grove, can fit up to 90 people. Agricola Samadhi and walking distance B&Bs brings up to 100 places our room capacity . All the rooms are newly built or recently renovated, some located in the main building with a portico, and they overlook the ancient villa and garden, other rooms are located in three independent apartment buildings. The rooms are air conditioned, it is possible to select the desired temperature: air conditioning during the summer and heating during the winter to be as comfortable as possible at all times. Rooms have wifi and some of them have a TV set. One apartment is equipped with a kitchen space. If you are planning to come alone, you can still share a room: we will find you a roommate! The dishes are prepared almost exclusively with ingredients from our organic farm offering total freshness. We produce fruits, vegetables, and organic extra virgin olive oil. The fruits and vegetables we eat are seasonal, we use a variety of cereals and vegetable protein, all combined with the ‘superfood‘ natural products ‘lesser known’ (miso, seaweed, spirulina, tofu, seitan) in order to balance the nutritional intake and balance we need. In the preparation of our dishes, we try anything that goes beyond the concept of ‘good’ and ‘typical’: a diet that is tasty but also healthy, creating natural recipes, light and balanced. Tasty and healthy for us to be synonyms: this is our starting point in the preparation of the dish. In the premises a range of residential services such as medical Ayurvedic consultations and detox programs, Ayurvedic treatments, but also Thai, Shiatzu, Osteopathic treatments. Salento is a coffer rich of inestimable treasures: medieval white stone villages built perpendicularly to the sea, innumerable evidences of ancient civilization, country churches, Romanesque Cathedrals, monumental Basilicas, “federician” castles, archaeological areas (dolmen, menhir), uncontaminated oases, millenary olive groves, park and sea reserves, splendid caves, the Baroque art, sacred and pagan sites, local fairs, folk music feasts, perfumes and tastes and the deliciousness of an authentic and genuine kitchen.